Just one key for your panniers and top box. Matched Key Lid Locks allow you to have a single key for aluminum panniers and/or aluminum tailbox (any number of boxes) as long as they are ordered at the same time. They do not replace the cam latches which provide the dust and water proof seal that makes our boxes famous. When adding lid locks to your existing panniers you are required to drill one hole. Drilling template is provided. Listing is for one lock. If you're upgrading a pair of panniers you will order two (2). For two panniers and a top box order three (3). 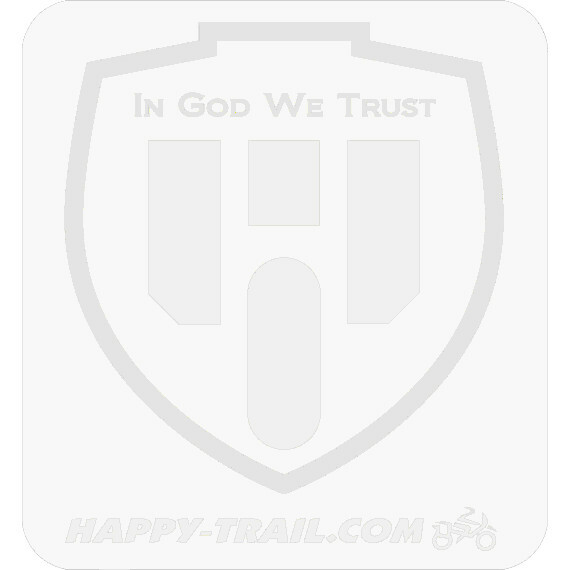 Note: This listing is for customers who already have Happy Trails panniers or top box and wish to upgrade them to the keyed lock system. It is not for customers ordering new panniers. When purchasing new panniers you will have the option of selecting keyed locks at the time of purchase.